Does anyone know how to ID where this tube was actually made and by whom? I have found conflicting opinions around the web when I searched. There are cross seams on the chrome top of the tube. 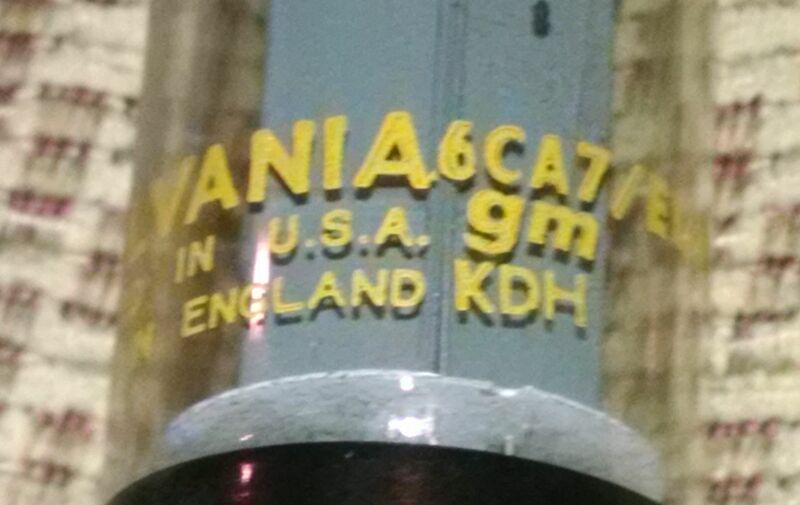 Are there any other numerical codes on it. Do you mean etched into the glass? There are no etched numbers. Only those you see in the pics. There is no hole in the center pin so it's probably not Mullard, and I forget the name of the other big maker in Britain. Are you thinking of Brimar? 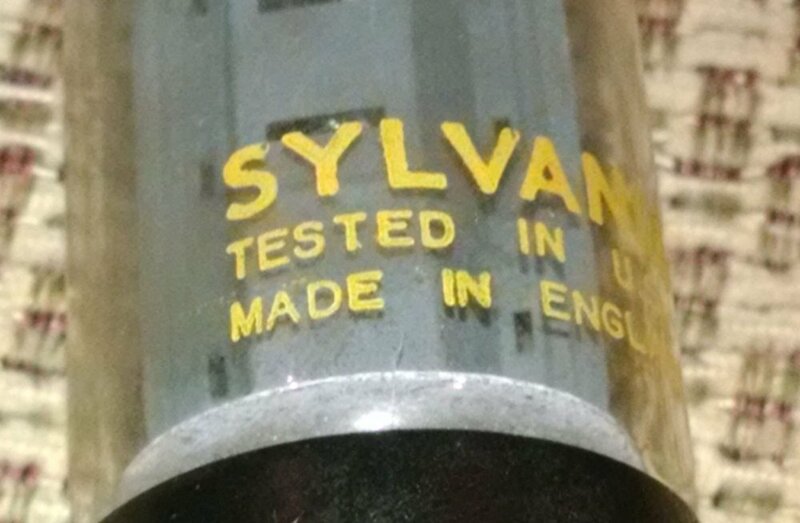 I think the tube was made in Japan at a facility Mullard helped set up - because of the cross seams on top. I read that the seams on top were a sign of a Japanese makers tubes. I cannot remember where I read that. Wasn't Blackburn the Mullard factory? Brimar was indeed the one I was thinking of. Japanese made tubes were usually labelled that way. Yes. 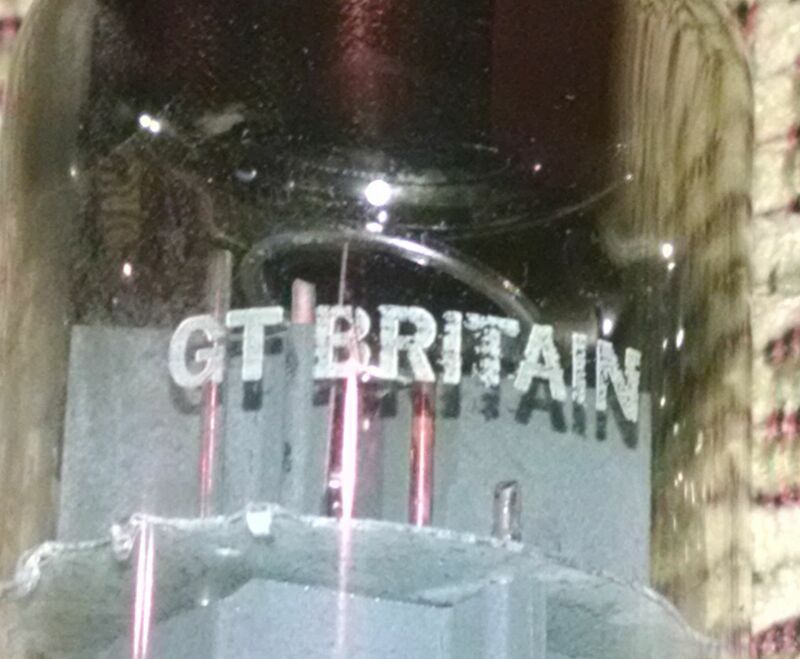 And, if I'm not mistaken, it does say "Made in England". "BEWARE: late 1970s production Mullard and RCA (labeled Great Britain) that have crossed seams in the top glass were made in Japan! These are not Mullard UK made tubes, although they were made in a Japanese factory that Mullard helped set up and are decent tubes. " It looks like a Japanese tube made by Matsishita . OOPS, just saw thebes reply. What are you playing your music through these days? Still in the Apple?